Christmas Tree Ornament Collection - Adorable gold brass snowflake pattern holiday ornaments, add a festive touch to your Christmas home or recovery holiday party and collect all 16, 13 or more is automatically 10% off! • These Christmas recovery ornaments are each uniquely shaped and designed ornaments with recovery slogan or positive holiday words and individually wrapped. • Measures approx. 3x4", Also perfect for Christmas theme craft DIY projects, such as wreath, garland, winter decoration and party favors. 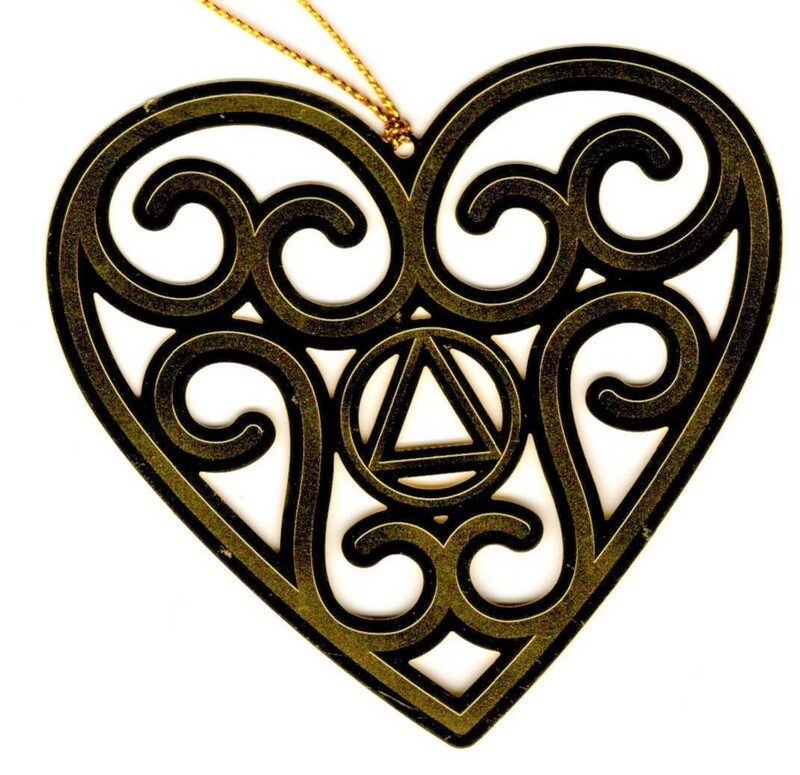 • Ready to Hang: AA Heart Ornament is attached with a string for easy to hang. You can hang them on Christmas tree branch or place them on fireplace, tabletop, mantle. • This heart shaped Christmas ornament is perfect for decorating trees, accenting packages, coordinating Christmas hanging ornaments, tabletop, fireplace and home decor items or as Christmas and holiday gifts.